For Julien Miquel, whether making, rating or writing about wine, communication has always been key. Here he tells us how the WSET Diploma helped shape his outlook, shares tips for improving online engagement and tells us which wonders of the wine world he’s most enchanted by. 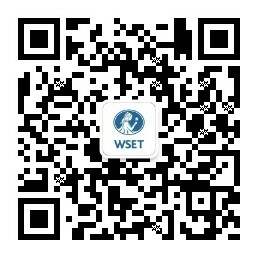 After a 10 year career as a winemaker, what made you decide to pursue the WSET Diploma in Wines and Spirits? As a winemaker, my objective was to learn about wine in its entirety, as much as possible. So I travelled the world making all sorts of wine in seven countries – from France and Italy to Australia and New Zealand. I wanted to understand what it takes to make great wine in various conditions, in different cultures, and literally live with the people that make them. This is the great advantage of winemaking: you can actually physically participate in extracting goodness from the Earth, and in turning it into good wine. When I got an office job for a world leading wine website, I still wanted to continue my journey through the wines of the world, and to keep on learning more. I already knew a little through winemaking, but the Diploma gave me a different and new approach to wine as it focuses on trade, consumers, and the immense variety of available products. This was the challenging learning curve I needed to keep my passion and hard work going. Was there a particular turning point that inspired your career move from winemaking into online content development? I realised that I could make my knowledge and experience of wine available to more people if I started sharing it online. When you make wine, you share your passion and your understanding of your land and grapes with the people that drink the product of your efforts, which is great. But through the web and social media, I could share with an even broader audience through tasting, writing, and engaging with the global wine lovers’ community. I realised this while working at Wine-Searcher.com, where I also embarked on studying for the WSET Diploma in Wines and Spirits. Social media is about giving: educating, sharing, entertaining. Social Vignerons was voted the best new wine blog in 2015 – just a year after its creation. What would you say have been the secrets to its success? Wine is fun and it should be approachable. This has always been my angle to the world of wine. I spent an enormous amount of time building the Social Vignerons site before launching it and sharing on social media. This helped me focus on aspects I knew my social community liked. My 15 plus years of experience in – and passion for – the world of wine have given me knowledge that I am now able to share with my audience, through the blog and social media. As one of the top three wine influencers on social media, what would be your top tip for drinks brands seeking to improve online engagement? Know your own story and how to tell it on social media. Many wine producers have a complicated story, or make it sound complicated by sharing about too many things on social media in a disorganised manner. This makes it hard for people to understand and engage. As a consultant in digital strategy for wine producers, my advice is always to focus on a few fundamental points in your story and communicate around those first. Once the message has been carried across, then perhaps start expanding. Create, engage, work hard, and give. Once you know what to talk about, create attractive content about your selected topics. Engage with your readers/followers to understand what brings value to people. Social media is about giving: educating, sharing, entertaining. This takes time and the ROI is not always obvious in the short term. Over time though, as the world shifts more and more towards social media as the mainstream, those who will win are those who have earned a loyal audience of engaged followers because they’ve been providing value, not taking or asking. Too many wineries think of social media as wine marketing, while it is in fact more about branding. What do you think the next big social media – or content creation – trend to take the drinks industry by storm will be? Can I keep this one to myself? Follow me and you will see! Your broad career experience has seen you travel the world; which wine region would you most like to travel to and why? I love going to Champagne, Alsace, Burgundy, Tuscany, and Castilla in Spain. These are ancient wine regions with so much tradition, passion, and deep wine cultures, areas that have been making wine for many centuries, and for this reason they make extraordinary wines. Everywhere you look, it is easy to be amazed. I find they are stunning wonderlands. Although I have travelled a fair bit, there are many wine regions I haven’t been to yet. I would love to make it to South America (particularly Chile and Argentina), the Mosel, South Africa, and Piedmont someday. Those are enormous gaps in my wine travel journey I would love to fill them all, and feel for myself what they are all about.